I am a contributing editor for two magazines. I write about space weather and radio propagation for "CQ Communications Magazine", and "The Spectrum Monitor" magazine. I was the contributing editor on space weather and radio propagation for the late "CQ VHF Magazine", and "Popular Communications Magazine". Once and a while, I write about propagation and other radio-related topics in other publications, and some of my writing appear in books. I also run several websites. Some videos on my YouTube channel. Enjoy. Feedback is welcome - comment on the video page. Below: Enjoy my slide show. Click on an album to view the photos in that album... click on the Gallery icon to switch albums. I am a father and husband, a business owner, a musician and song writer, the contributing editor to several magazines, and an Amateur Radio Operator. I am more than a passive hobbyist, in that I hope to inspire others to pursue hobbies that cause personal growth as well as contribute to public benefit. Amateur Radio is one such hobby, as is musical performance and song writing. One of the core passions driving my activities in amateur radio and in music (song writing as well as performance) is the simple, fundamental desire to communicate with people. I'm like the fictional character in Roger Waters' "Radio Chaos," turning the dials on the shortwave radio, wanting to "talk to the people". Because I care about those around me, far and near, I want to connect. Music is a language between people from diverse spaces. Amateur Radio is the same sort of language, if you will. When I meet someone on the air, whether it is by PSK31, CW, or voice, we lower some of our barriers and we extend friendship. Sometimes, this can have a great impact on a life. My desire is to enable others to communicate, too. Because of this, I write the propagation columns in Popular Communications, CQ Magazine, CQ VHF, and you will also see articles from me in other magazines, such as Monitoring Times. I write and maintain an amateur radio web site, the "NW7US Communications Web Resource - HFRadio.org" web site. I've been involved in starting school radio clubs, volunteering during examinations, teaching and mentoring. Amazing sounds and exotic stations struck my fancy as I tuned around on the dial. Soon, I found myself listening to the time signals on WWV, news broadcasts from the BBC, and cultural shows from Radio South Africa, Radio Canada International, HCJB, and Radio Australia. These were just a few of the International Shortwave Broadcast stations that captured my imagination. I felt that I was traveling the world, without leaving my backyard. I was particularly fascinated by WWV's hourly propagation bulletin. I sat listening with rapt attention and great imagination, while thinking of Skylab and space, and radio waves. This was my first exposure to the concept of sunspots, space weather, and the variability of radio wave propagation on shortwave radio. I began to look for books on electronics and radio (tubes, electricity, and that sort of thing). My folks bought electronic kits for me to build (remember back to when Radio Shack still sold electronic kits and was supportive to the home-builder of electronics?). I built a simple AM transmitter kit, and a VHF receiver kit that enabled me to hear Air Traffic from the local airport. Listening to Northwest Orient pilots talking with the control tower, or hearing South Africa on that Sony portable radio, catapulted me into a world of ideas and possibilities. As I entered Junior High School, I acquired a military surplus shortwave receiver. Late at night when I was supposed to be sleeping, my bedroom would be lit with the glow of warm orange light from the tubes in the heart of the radio. I heard signals from all over the world, some of them seemed to flow into my room with ease from the dipole antenna that I hid around the eaves of the house. Even AM Broadcast-band DXing was exciting. I remember hearing stations from South America, such as a station from Peru. While I served in the United States Army, stationed in Europe, I would stay tuned to the world by using any receiver I could find. An example of my obsession would be from times when I was deployed to tactical communications sites ‘in the field.’ When I was not on duty, and not asleep, I would sneak into backup communications shelters (tactical units sitting on a truck, kind of like those campers on the back of a pickup truck), and fire up military communications gear so I could listen to my news from the BBC, or a show from Trans World Radio in Monte Carlo. My service to the country was as an Army communicator, in the signal corps. I worked in HF, as well as Troposcatter, Microwave, and satellite communications. I also worked a great deal with computers. But it was not until after my tour with the Military that I finally became a licensed Radio Amateur. After leaving the Army, I met a group of Amateur Radio operators who encouraged me to get my license. They gave me the Novice test, one day, in a very crowded cafeteria at work (The Travelers, in Hartford, Connecticut, where I worked as a programmer/analyst). I was not only required to receive the Morse code, but also to send a text that they provided out of a technical manual. I passed the test! I lost no time in setting up my station (a random wire of about 200 feet along with an old Kenwood transceiver and an old Navy Key), and waited for my official “Ham Ticket” from the FCC to arrive in the mail, so I could transmit. I would listen, practicing my ability to receive CW. Night after night, I would sit and try to head-copy CW. (Head copy means to decode the CW in your head, rather than write it down). One day, when I arrived home after work, I opened the mail box and found the envelope from the FCC! The license finally arrived. Now I could not only listen, but, could communicate all over the world. Sure, as a Novice, I was only allowed to communicate in CW, but I was more than proud to do just that! I felt all of the history and was filled with pride that I could use CW, too. The problem, however, was that I am human. During my first CW QSO, I forgot my name, English, and Morse code. I was sweating! But, slowly, I found my mind again, and began having a great QSO. I did a lot of Morse code operation during the first months, and continued using CW but also discovered the world on 10 meters. What a band! The propagation was worldwide during the last part of a great solar cycle. The excitement of talking with people from so many locations was never higher than during those first 12 months. Now, I could really travel the world without leaving home. To perhaps learn just a little bit more about cultures and places outside of my little world. I upgraded to Amateur Extra about seven or so years after my first license. I desired to work DX, and changed my call to NW7US. In the past, I was in US Army MARS (Military Affiliate Radio System), and served as the US Army MARS State MARS Director (SMD) for Washington State. I've been the Emergency Operations Officer, too. Time does not allow me to do this, at this time. I am the father of four children. All four of them are now licensed. My oldest son, Marine LCpl Atreju (now married and expecting my first grandchild, a boy), is KD7TZQ. Ashley, my daughter, is KD7QKT. KD7NHF is Nathon, my middle son (and he is now married, as well). Robert is KF7IBY. And, my wife is licensed as KD7TZR. This is a great hobby for the whole family to be involved in. As an amateur radio operator with the callsign of NW7US, I enjoy having two-way communications by way of shortwave radio signals, in the amateur radio hobby. The shortwave frequencies are those in the High Frequency (HF) radio spectrum. Amateur radio in the United States of America enjoys the allocation of many frequencies in a number of 'bands' in the Mediumwave, HF, VHF, UHF, and higher radio spectrum. 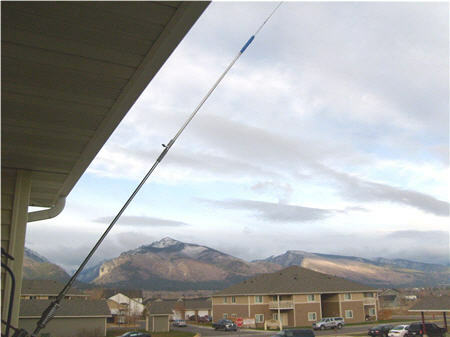 NW7US is the Amateur Radio call-sign issued by the Federal Communications Commission to my Ham Radio Station, conferring the right to operate this equipment under certain privileges. This call-sign is assigned to me as both an identification of my Amateur Radio station, as well as a reference to those privileges I have been granted after having passed both a series of written examinations which cover rules, procedures, technical theory, and related knowledge, and a series of Morse code proficiency tests. (Note: Morse code proficiency is no longer required as an element of the FCC test; you no longer need to learn and demonstrate knowledge of Morse code in order to obtain an FCC Amateur Radio license. However, Morse code is becoming very popular among Amateur Radio, again. More on that, below). I was born back in 1965 (in Virginia) and I'm 45. I was first licenced in 1990, though I have been a real high-frequency fan since the early 1970s when I discovered Shortwave Radio. I loved hearing the foriegn stations. Using HF is like travelling without leaving home. I love meeting new folks. In general, my station runs 100 watts out of an Icom IC-7000. I am using the KK7UQ home-built digital interface with the Ham Radio Delux + DRM software. My Morse code key is one of two: a WWII Navey Signaling Key (originally used by the Navy for ship-to-ship signal lamps), or a modified Vibroplex key that is now a 'paddle' key (moves side-to-side, requiring an electronic keyer). My antenna is a wire dipole. With a good antenna tuner, I can work all of the HF Amateur Radio bands. I have some very specific areas of interest in my love of radio and space weather. + I am the Propagation Editor for "CQ Communications Magazine", "CQ VHF Magazine", and "Popular Communications Magazine". Once and a while, I write about propagation and other radio-related topics in "Monitoring Times". 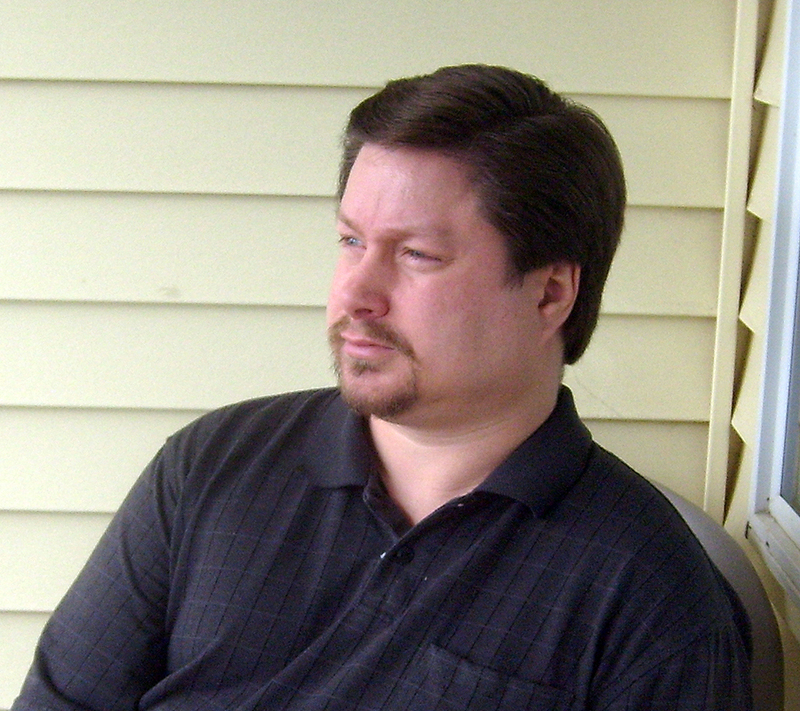 + I am a contributor to various amateur radio books, blogs, news articles, Wikipedia, and so on. + I am most often found on the High Frequency Amateur Bands in the CW or Digital Modes sub-bands. I enjoy PSK31, Olivia, and other digital modes. These all have their benefits and challenges. You will also hear me trying to improve my Morse Code skills on the CW subbands. I am a member of the Straight Key Century Club. I am quite interested in space weather and radio propagation. I am trying to produce a weekly podcast about space weather and radio propagation, but I am not always able to produce those each week. Life gets in the way. I am currently the writer of the monthly Propagation columns of "CQ Magazine" and "Popular Communications" magazine. I also write the quarterly propagation columns in "CQ VHF" magazine. You may also find two yearly articles by me in "Monitoring Times". My current radio is an Icom IC-7000. My station is rather meager. My current antenna is a Hustler mobile antenna (with resonators) mounted on a pole, leaning out away from our second-story balcony. Using either an MFJ Versa Tuner V, or a Ten-Tec antenna matching box, I can operate on 20, 17, 15, and 10 meters. 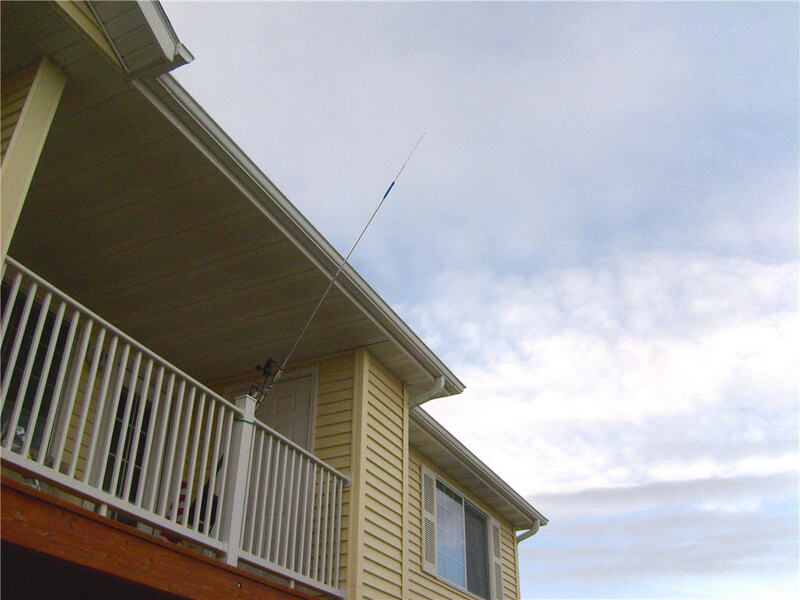 It is not the best antenna in the world, but I do OK. I cannot get on lower frequencies, as the RF triggers the neighbor's fire alarms. Not good. Tomas David Hood - Singer/Songwriter. Copyright, 2019 , Tomas Hood (NW7US), all rights reserved.